We have found that to improve your golf swing – Golfers need to improve their swing mechanics … as well as the ‘intangibles’. Have you ever taken a golf lesson that helped you hit the golf ball better for a short time? For example: you were told to keep your left arm straight in your swing and then all of a sudden you started to hit the golf ball better. Then a few days later, you would go to the golf course and lose your swing. Regardless of how much you focused on that same swing tip … you can’t find that effortless swing you had on the driving range. Practice: Do You? How Much? What? How much do you need to practice your golf swing in order to improve? Can you over-practice? What should you be practicing? Fast Fixes? Have You Tried Any Of These? What do these 5 headlines have in common? As we’re now into the middle of June – the 25 million Golfers in the US, 5.5 million Golfers in Canada and 6 million Golfers in Europe … are all playing Golf. The question that needs to be asked is how many of these 36+ million Golfers are playing to their potential. This is important to know if you want to improve – because you’ll need to prioritize the issues in your swing so you have a place to start. As over 9 out of 10 Golfers just jump into hitting golf balls without a PLAN … and coincidentally these are the people that usually become the most frustrated with continual inconsistency. Can You Take Your Golf Swing From The Range To The Golf Course? Why do so many Golfers have trouble taking their driving range swing onto the golf course? What is happening differently on the golf course where you don’t hit the golf ball nearly as straight as you did on the range? The most obvious answer could be that on the driving range you have less pressure to hit a good shot because there are many other golf balls to progressively correct yourself after hitting a bad shot. Whereas on the golf course … there is only one golf ball that matters. Is Your Practice Influencing Your Golf Swing? There might not be anything that impresses me more about a Golfer than their ability to practice effectively. To be able to go the driving range and/or practice area with a Practice PLAN to improve shows how serious a Golfer is towards improving. And I’m sorry if this offends you … but a Golfer that goes to just hit golf balls for the sake of trying to improve, is not serious about improving their golf swing! Better Golf Practice, Better Golf Swing! When you go to practice your golf swing, are you just as happy walking off the range tee as you were when you first stepped on the range? Or are you like most Golfers – just more confused about your golf swing? We have found that 9 out of 10 Golfers feel less confident about their golf swing after going to the driving range than when they first stepped on. Although the idea of going to the range was to improve your golf swing … Golfers usually walk off the range disappointed. Your success on the golf course is determined by how well you hit the golf ball. How well you hit the golf ball is based upon your control of the golf club. Your control of the golf club is based upon how well your body and arms work together. The consistency of your body and arms working together is directly related to your athletic ability. Why is it that many Golfers can’t take their smooth, consistent golf swing from the driving range to the golf course? Where did it go? What would happen if you practiced your golf more this year than last year? Would you be a better Golfer? I guess it depends on what your definition of practice is. To the mass majority of Golfers – practice is the science of banging golf ball after golf ball on the driving range; one after the other until every ball has been hit as far away from you as possible. How do you practice trying to improve your game? And when you do practice, how do you track if you’re getting better? Do you rely on if you’re feeling like you’re improving? Or do you track your results? Sure, I know that’s a loaded question because they’re might be 1 out of every 255 Golfers reading this that does track their results when practicing. And that’s a problem! The end of the golf season is approaching for many Golfers. As most Golfers in North America and Europe start to clean their clubs before putting them away in storage for the winter (you do clean them … don’t you? ), the question that must be asked is: Did you have fun playing golf this past summer? Are You Practicing Your Core? Can you improve your swing by working on it 100% of the time? Can you improve your swing even more by working on your swing 50% of the time and working on your body 50% of the time? There’s no doubt you’d find a lot more consistency splitting your time between practicing your swing and working on your body – than if you just worked on your swing 100% of the time! If you’re looking to improve your golf game and understand how a Player practices (as opposed to how a struggling Golfer practices) – read the below paragraphs and fill in the blanks as they pertain to your golf game. Then below that section – we’ll explain how you can use your answers to improve your golf game, golf scores and golf swing. And I said to myself – Here’s another Golfer that’s about to take a drive down the infamously long road of Frustrated Golfer Lane. For some Golfers this road never ends – it just goes on and on and on until they either quit or just accept their fate of not being a good Golfer (or as some frustrated Golfers would call themselves – I’m just a hack). How Many Golf Instructors Does It Take To Improve Your Golf Swing? How may Golf Instructors does it take to screw in a light bulb? 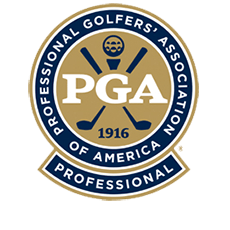 If it’s the same amount that it took for me to get my golf swing consistent enough to think about becoming a PGA Professional – it’s a lot more than 1 and a little less than 100. “I hate this game! I hate it! Why do I play this stupid game? I quit – I’m never playing again!” Henry blasted himself. Practice? Are We Talking About Practice? Who is thinking more during each golf swing – the Golfer that’s hitting good shots or the Golfer not hitting the ball well? There’s no doubt that the Golfer that’s struggling starts to think a little more about their golf swing than the Golfer that’s hitting it well. And as the struggling Golfer starts to think more about their swing … they begin to stink a little more.